Step through the doors of our website, and whether you have previously visited our office or not, we will introduce you to a number of veterinary health care services we can provide for you and your pet. Our five staff veterinarians and veteran support staff are dedicated to your pet's comfort and quality of life. 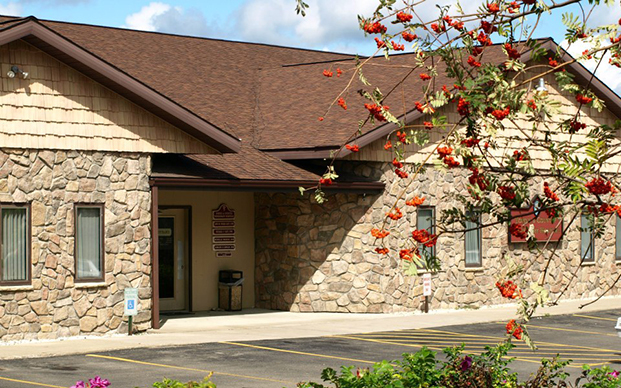 In order to meet the needs of our community, Towne & Country Veterinary Hospital has undergone many changes since its humble beginnings as the Lewis Veterinary Hospital in Webb Mills, New York. Over the past twenty six years we opened a satellite office on Park Avenue in Corning, built a fully equipped veterinary hospital to replace this satellite office, and finally consolidated our offices and resources into this single facility, Towne & Country Veterinary Hospital. Although this office was designed and built in 1989 to provide more convenient and up-to-date veterinary care, in 1999 the hospital underwent expansion and remodeling to keep pace with the medical and surgical needs of our patients. As you delve deeper into our website you will see that endoscopy, ultrasound, digital x-ray enhancement, laser surgery, laser therapy, acupuncture and many other testing and treatment options are just as available to our pets as they are to ourselves. You are undeniably your pet's best friend and guardian. He or she in return offers you unswerving devotion and companionship. Our duty is to help maintain this bond. You may need our veterinary services for simple preventative medicine in the form of vaccines, nutritional advice, and puppy or kitten rearing. Occasionally our services may be needed to mend such pet catastrophes as chasing the squirrel out in front of the car, jumping into the center of the fireman's chicken barbecue pit, swallowing your spouse's favorite ring, racing through the sliding glass door on the coldest day of the year, or munching on mouse bait. We will help unravel the hidden cause of your pet's poor appetite, hair loss, lameness, or lethargy and offer available solutions. And together with you, we will help your pets through their later years, enabling them to enjoy the comfort and health they deserve. Proudly Serving: Steuben & Chemung Counties as well as Surrounding Areas in New York and Northern Pennsylvania. We are looking for Licensed Veterinary Technicians. Please See "Latest News" for more information. Applications can be found under "Clinic Forms"